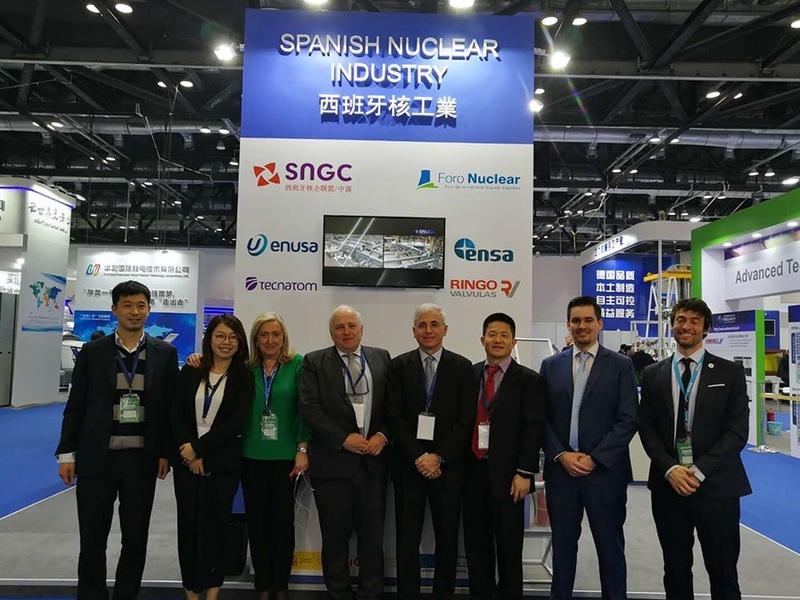 Ringo Válvulas, as member of the SNGC (Spanish Nuclear Group for Cooperation) has participated in the Nuclear Industry China Exhibition held in Beijing from March 28th to 31st 2018, being part of the Spanish Nuclear Industry Forum booth. Ringo Válvulas has been able to display all its engineering and manufacturing capabilities that have driven the company to supply nuclear valves to more than 40 reactors in 20 different countries, including China, where Ringo has delivered valves to different plants: Qinshan I & II as well as Tianwan Unit 3, whose power start-up took place on past December 2017. Additionally, business opportunities for SNGC, Ringo Válvulas and generally SNGC in the Chinese Nuclear Industry is not limited to the projects and plants in that country but also is extended to the plants to be constructed in third countries, for instance in Argentina, where Ringo Válvulas has experience of valves supplies to Atucha and Embalse Nuclear Power Plants.